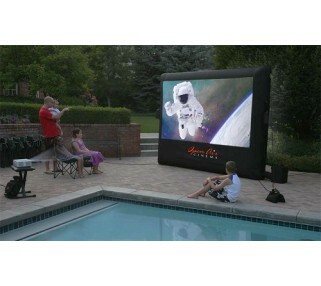 This easy-to-use blow up movie screen rental is perfect for backyard movie parties with up to 50 guests. The projection screen is constructed of highly durable nylon. Setup is a snap, and typically takes 10-15 minutes. 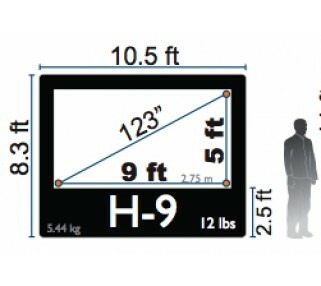 For this screen we recommend that your projector be at least 2000 lumens. 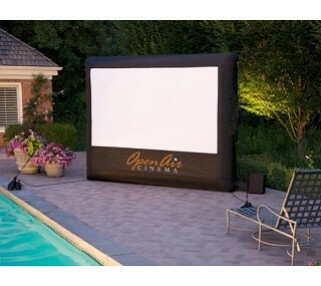 If you don't have your own projector, please check out our Outdoor Movie Packages for perfectly paired blow up screen rentals, projectors, speakers and DVD players.